Well, today is Friday, so I need to get this pillow done so I can use it on the weekend! There are just a few more steps to do and then the sewing will be finished. 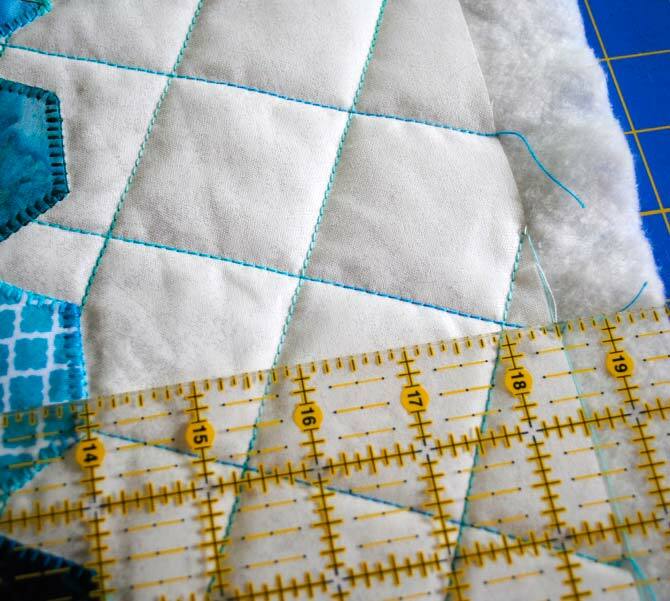 The first thing that we need to do is to measure the quilted pillow top. For mine, the quilting has shrunk the top slightly and it is now 18½” square. Next we need to trim the excess batting and backing from the pillow top. 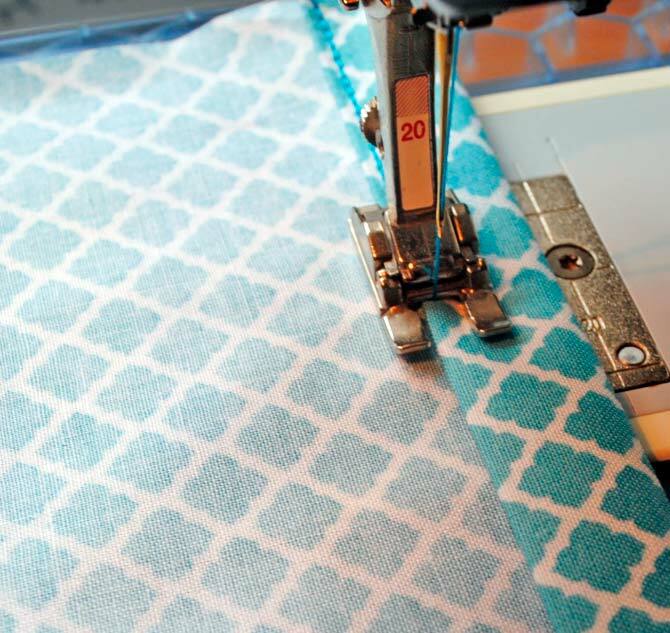 Cut the backing fabric into two rectangles 15″ x width of the pillow. On each of these rectangles fold over ½” along the long edge of one side. Press, then fold the raw edge under the first fold and press again. Topstitch along this edge. 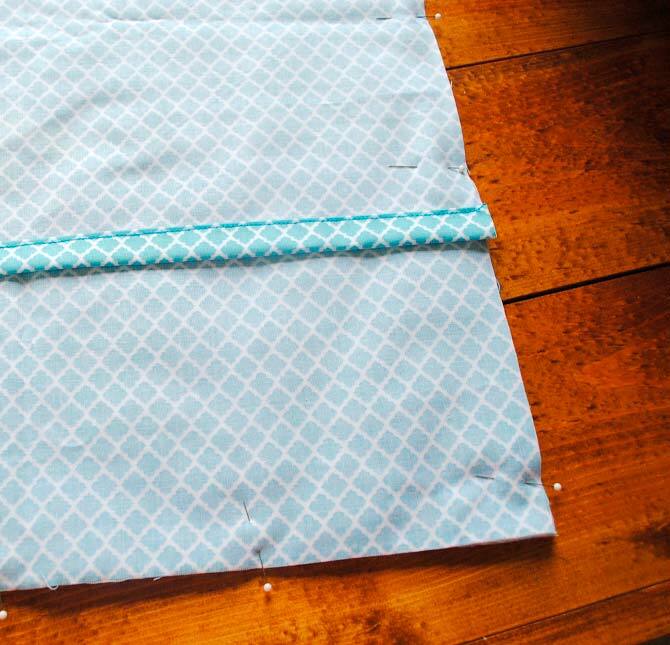 Lay pillow top on a hard surface with right side up. Place one of the backing rectangles right side down, aligning the raw edges with the edge of the pillow top. Lay second backing on top, right side down, overlapping the two topstitched edges and aligning the raw edges with the pillow front. Pin along all of the raw edges. Sew ½” in along all of the edges of the pillow. Clip the corners and then turn the pillow right side out. Press. Use the Spagetti thread to topstitch ½” in along all of the edges of the pillow. Insert your pillow form and your pillow is complete! Topstitch 1/2″ from the edges of the finished pillow. 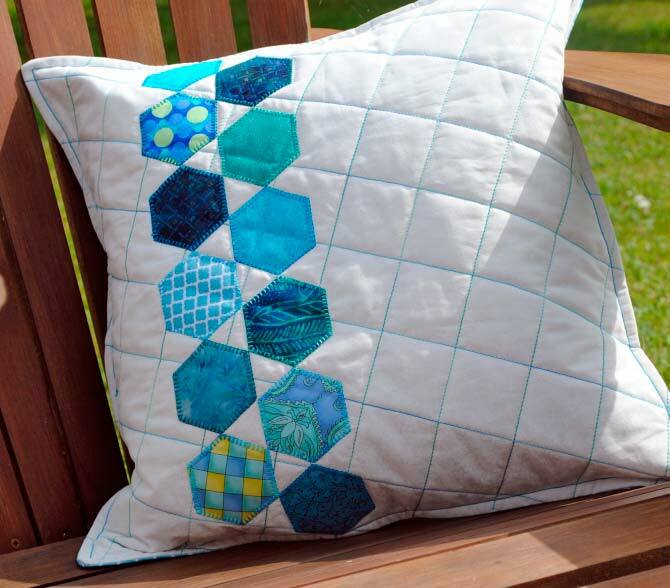 Finished hexagon quilted back porch pillow. 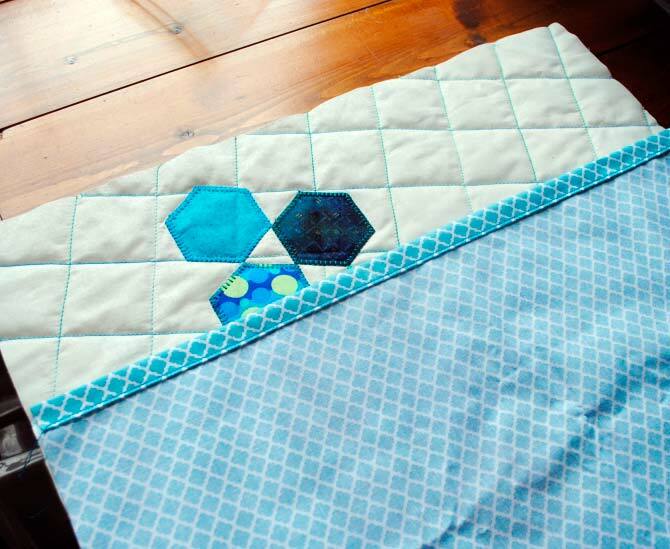 My turn at blogging this month on QUILTSocial is over, but I’ve really enjoyed using my WonderFil threads this week to make this quilted pillow. Even though the weather is beautiful, I plan to spend a little bit of time in my quilting room over the next month and I look forward to blogging again in the future. 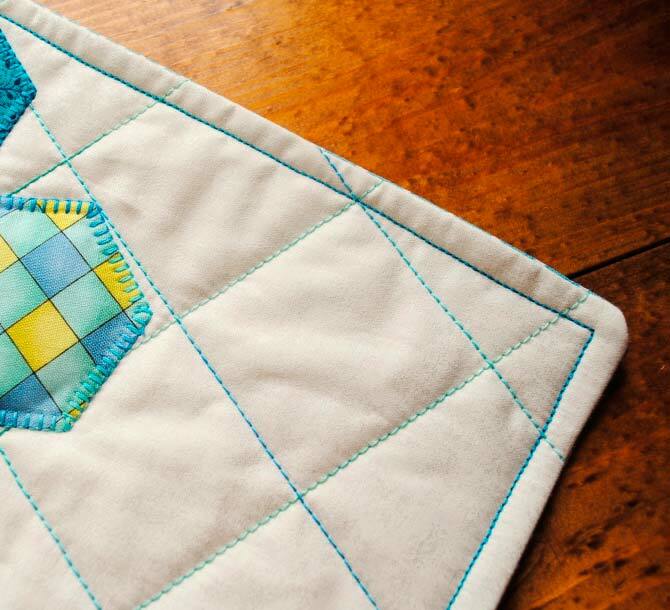 I hope you’ve enjoyed making your own back porch pillow and that you too will enjoy the rest of your summer and will keep on with your quilting and sewing projects!